The AAAS Science and Human Rights Coalition meets July 27-28, 2017, at AAAS (American Association for the Advancement of Science) headquarters. INTRALaw (International and Transnational Tendencies in Law) at Aarhus University, Denmark, (in partnership with West Virginia University) is hosting a two-day workshop on business and human rights October 2-3, 2017…. 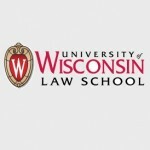 The University of Wisconsin’s Human Rights Program, Global Legal Studies Center, and International Division present Symposium on Human Rights and Migration in Wisconsin April 18, 2017, 2–5 p.m.